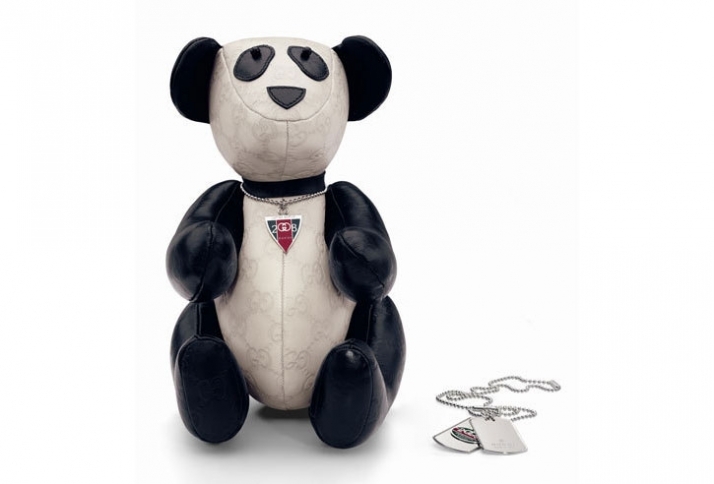 Gucci is pleased to announce the creation of a special collection, "8-8-2008 Limited Edition”. Taking her cue from competitive sports, Creative Director Frida Giannini has conceived 8 exclusive accessories that epitomize sporty luxury. I-Gucci watch, unique to the "8-8-2008 Limited Collection". It is Gucci's first ever digital timepiece, it will be offered worldwide and is a tantalizing option for cosmopolitan watch fans. Its clean digital face (which features both numerical or clock hand formats), black dial and steel frame epitomize sporty elegance. The surface of its red monochrome rubber strap is engraved with the Gucci logo on the exterior, while the interior has been embossed with Gucci's iconic GG pattern. The rear face commemorates the year 2008 with a chic red and green logo. All functions are easily executed using lateral push buttons embedded in the smooth circular frame of the 44mm case. Its high-tech capabilities even allow the wearer to select a dedicated Beijing time zone code on the display. 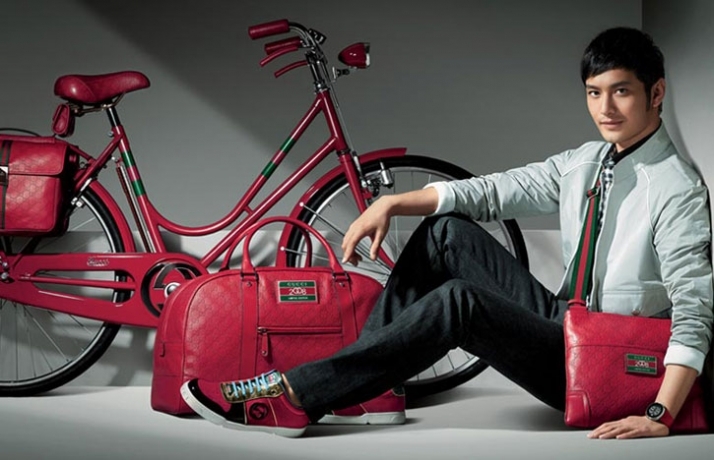 The "8-8-2008 Limited Edition" collection also includes a unique bicycle, with bold red double GG leather details and collectable items such as a luxurious Mah Jong set covered in red "La Pelle Guccissima" and, to pay homage to China, a panda in soft leather. 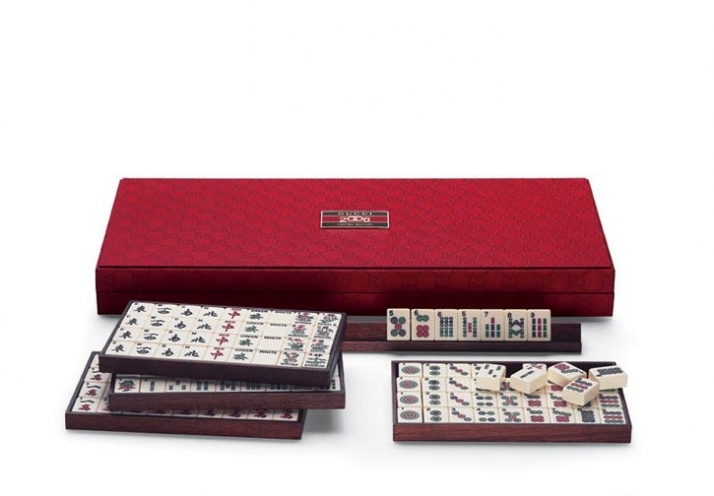 Though intended for leisure, the products bear the hallmarks of Gucci's impeccable quality. 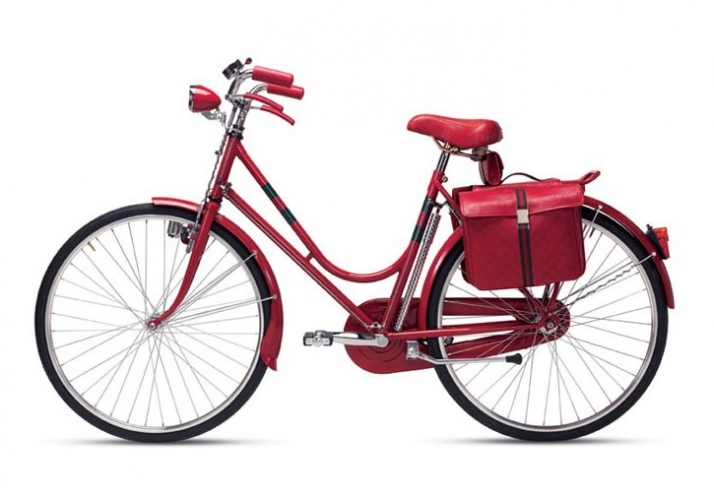 Frida also proposes the bold "La Pelle Guccissima" for two pieces of luggage. The first is a chic, sturdy leather duffel and the other a soft leather messenger bag with Gucci's iconic green-red-green web on the shoulder strap. Also included in the collection are sports shoes, for both men and women, articulated in a fresh patchwork of suede, patent leather and gold trim and a necklace nspired by military tags, in sterling silver and enamel making it the perfect accessory for casual looks. 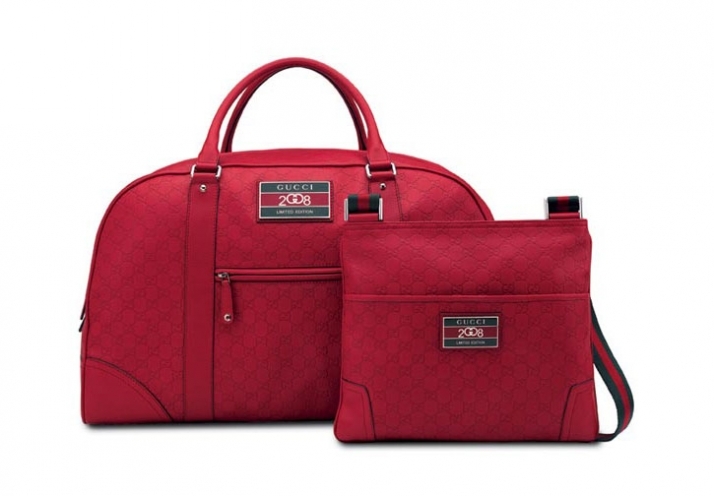 "La Pelle Guccissima" is, as usual, buffed and finished by hand and the products feature a specially created metal plaque that combines the interlocking GG logo and the year 2008. As for the bold red that permeates this standout collection, Frida comments: "Not only does red evoke "Happiness" and "Celebration" - two emotions that couldn't be more appropriate to describe the excitement in the world of sports - but it also happens to be a very fashionable color for 2008! I also designed just 8 products for this collection, which mirror the lucky number 8 in Chinese culture". Though the I-Gucci watch will be offered worldwide, all other designs of this special collection will be sold exclusively in Hong Kong and mainland China.